BiomassBrokerage.com - find your fuel - Buy & sell biomass online. 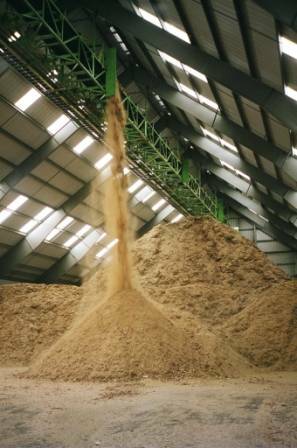 All over the world, biomass is a significant source of energy, particularly for heating. 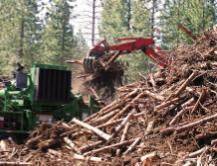 Sourced primarily from “waste” by-products of forestry and agricultural industries—and from industrial and commercial wood wastes—biomass has the ability to replace fossil fuels for almost all heating needs. Because biomass extracts CO2 from the air when it’s growing, and then returns it when it’s used as fuel, it is carbon-neutral, making no net contribution to escalating atmospheric CO2 levels, or to climate change. We have developed one of the essential elements of a viable biomass industry—a brokerage system—to create and sustain a biomass energy infrastructure. Virtually every method of providing energy is built on a complex infrastructure. Natural gas, for example, is delivered through a physical storage and transmission system that took decades and millions of dollars to build, and requires more millions each year to maintain and operate. This system—like all energy systems—links together five processes: production, transportation, processing, storage, and consumption. A mature biomass system will also require an infrastructure to link together those processes. However, unlike natural gas, a biomass system will not require a physical infrastructure to link its components together. Instead, a biomass infrastructure will be virtual. Current and potential producers will need to be connected to current and potential consumers. Businesses and other organizations capable of transporting, processing, and storing biomass fuel will need to be connected to each other, and to the producers and consumers, in that system. 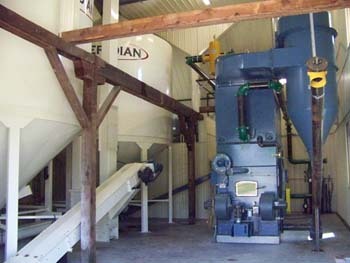 Companies that can design, manufacture, install, or maintain biomass systems will also need to be able to connect to customers. Finally, a biomass infrastructure will require an element that other energy infrastructures do not—a method for dealing with the ash that biomass combustion produces. The infrastructure for biomass is, in some ways, more complex that the one for natural gas or electricity. There are multiple source materials. As well, when they are processed, they do not become a single commodity the way electricity or natural gas does. However, shipping and storage for biomass is, in some ways, simpler than for natural gas or electricity. First, it is a much safer fuel to handle. And, second, there is already a mature agricultural product handling industry, much of which can serve as double duty for biomass. Connecting all of these elements together will be simpler for biomass than it was for natural gas or electricity. Rather than pipes or wires, the elements of the biomass system can be connected by personal contact, phone, email, and the web. The best way to connect all of these elements together is though a brokerage. At its most basic, a brokerage makes a market, linking buyers and sellers together. Brokerages are common in our society, although we don’t always notice them. How broadly or narrowly they focus. 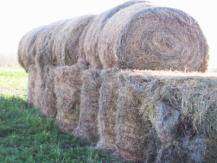 eBay is very broad, while the Forage Listing is relatively narrow, for instance. How much of a particular industry’s infrastructure they encompass. Some serve only buyers and sellers. 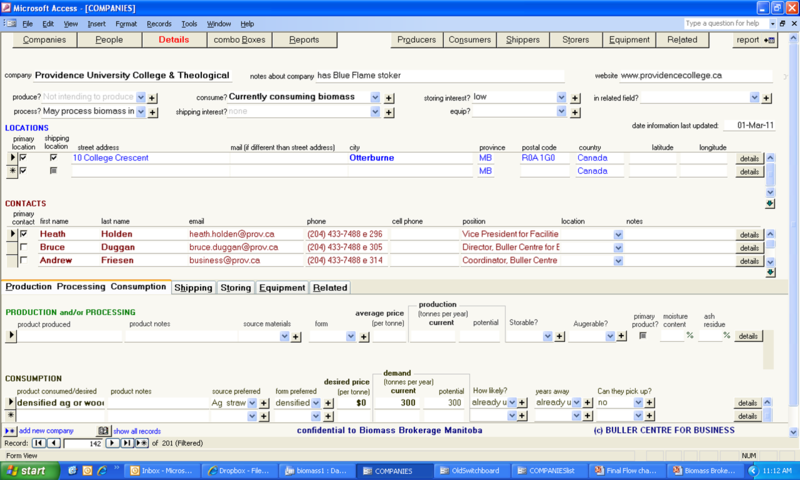 Others include shippers, storers, processors, and equipment suppliers. Some are privately managed (often under a significant regulatory apparatus), some are publicly managed, while others are public-private hybrids. How they generate their revenue. There are essentially three options—a per-transaction fee, a membership fee (often in structured as a member cooperative), or a block-funded grant (often from a government or quasi-government entity). Our projection is that a per-transaction fee would be the most sustainable business model for us. In some markets, one entity is the sole broker in their industry; in other markets, there are multiple brokers who compete amongst themselves. They reduce search costs and effort as buyers hunt for sellers and sellers hunt for buyers. They reduce transaction costs incurred by both buyers and sellers as they trade goods (or services). They reduce risk for participants, helping to increase the likelihood that the buyer will get the goods they desire, and sellers get the payments they depend on. They enable participants who initially don’t know each other to develop trust. Over time, they usually function to standardize expectations, contracts, products, and delivery processes. 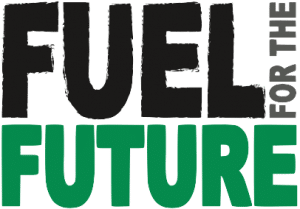 Speed up the adoption of biomass as a viable energy source because producers would have a simple, reliable way to reach customers, and potential consumers would know they had a reliable supply. Significantly improve the chances of the industry moving from its current development stage into commercialization. Drive economic development, particularly in rural Manitoba. Help Manitoba fulfill its intention to be a leader in biomass energy. Although Biomass Brokerage was initially focused on Manitoba, the intention is to expand the reach as quickly as is feasible. The best way to use biomass is to ship it as little distance as possible, but that’s no reason that a brokerage can’t have a very broad reach. Biomass has the potential to take its place alongside natural gas, electricity, and geothermal exchange as a viable energy industry in our province. Currently, biomass is the least developed of Manitoba’s heating industries. A few commercial facilities, like Vanderveen’s Greenhouses in Morden, have been using biomass as a heating source. A significant number of home and cottage owners have been using pellet stoves for at least some of their heating requirements. However, as a viable option for heating on a commercial scale, biomass is roughly a decade behind geothermal exchange, and many decades behind electricity and natural gas. 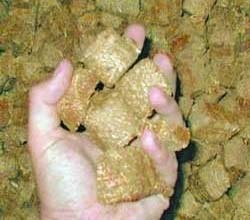 Significant steps have been taken, particularly over the past two years, to move biomass from its current development stage into a commercialization stage. To mention only one of these steps, the Government of Manitoba announced a new Manitoba Biomass Energy Support Program in January 2012. In Spring 2011, as part of their Field Education, two business students in the Providence University College Business Administration program began to develop a database of places in Manitoba that are producing biomass that could be suitable for producing heat and/or power. Business students in the 2012 Winter Semester added listings of all the places in Manitoba that can (or could) take this biomass and use it to the database. Business students in the 2012-13 academic year researched possible processors, storage sites, and shipping options throughout Manitoba, and added them all to the database. In 2012-14, we put the database online. This website—like the business—is a startup. That means we’re alive and kicking, but not yet bug-free. Visiting each of the potential participants to assess their actual interests, needs, and capabilities. Expanding the reach beyond Manitoba. 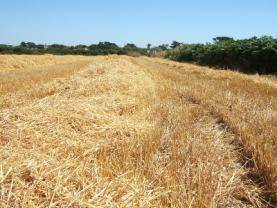 You can join Biomass Brokerage by filling out the form here. Adding your information entitles you to a free membership in Biomass Brokerage, enabling you to list biomass you have for sale, and biomass you want to buy.